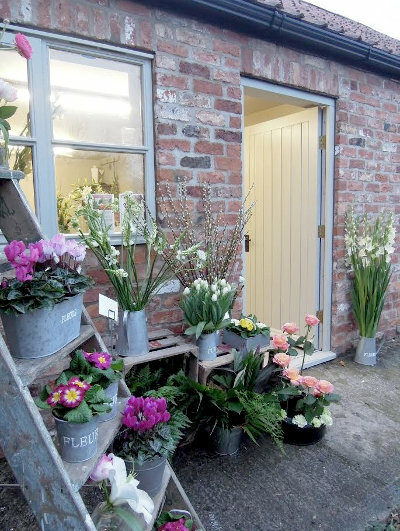 All equipment and materials and flowers are supplied including vases, containers and floral sundries. 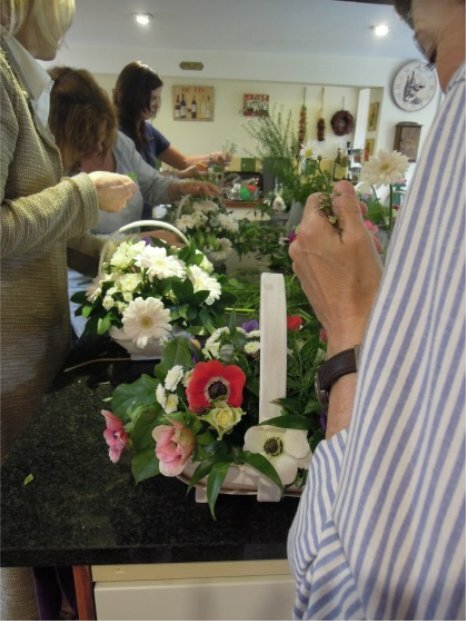 Our York Flower Arranging Workshops, Floral classes and other events and Flower demonstrations are the ideal gift, group activity or even the perfect idea for a York Hen Party. For more ideas or to ask about suggestions for your group please contact Joanna Keely. Extra dates are available on request. 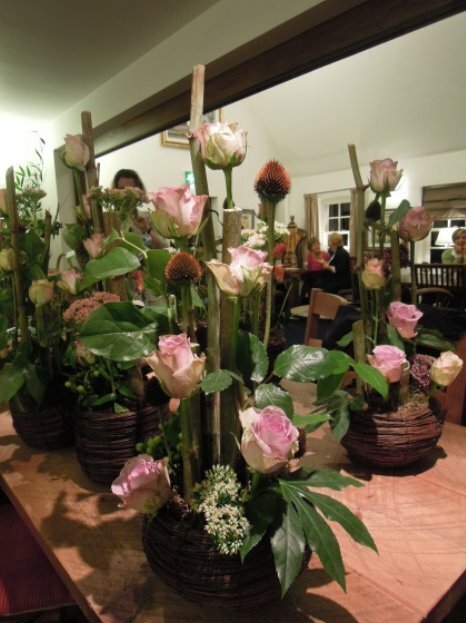 7pm Monday evening Flower class with light refreshments £35. 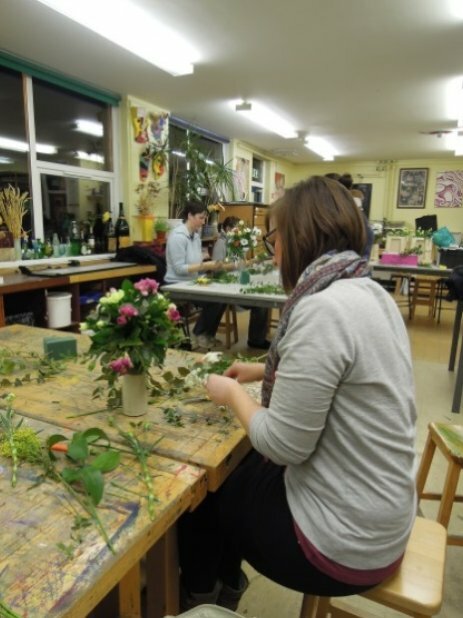 Enjoy learning floristry and flower arranging skills at The Flower Studio. Booking now for the Spring term. £100 or £95 (concessions) for the term plus flowers. Spend a day in the beautiful and exclusive surroundings of Bishopthorpe Palace creating floral displays to take home. A delicious lunch is part of this very special day. Total cost including all materials and refreshments £105.00. Grays Court is a one off country house hotel in the heart of the City of York. Enjoy the opportunity of taking part in a flower workshop in this picturesque hotel, followed by a superb afternoon tea. You will take home an arrangement of fresh flowers, feeling refreshed and relaxed. Total cost including all materials and refreshments £57.50 for a minimum of 5. Tucked away in the Mount area of the city, York Hotel du Vin, lies within a Grade II-listed mansion house, combining classic early 19th century architecture and charm with our signature Hotel du Vin style. Enjoy a light lunch followed by a floral workshop in these beautiful surroundings. You will take home an arrangement or bouquet of fresh flowers, feeling refreshed and relaxed. Total cost including all materials and refreshments Â£57.50 per person. 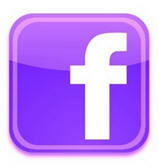 Please contact Joanna if you would like to arrange a flower arranging, hen party or floristry class. £70 plus materials for a 2 hour session for up to 4 people. 5-10 people £12 per person plus materials (dependent on design). Payable in advance. One to one classes £30 per hour plus materials. I run a variety of classes through city of York suitable for people who are new to working with flowers or have some experience. 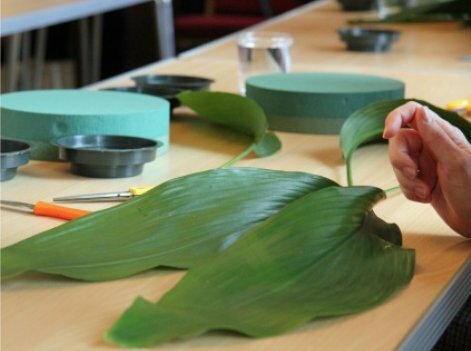 Workshops make a perfect creative treat for friends and family. Special workshop days can be arranged to suit your requirements. Whether you are a business, looking for something different for a hen party, children’s party, a group of friends or a one to one lesson wanting to celebrate a special occasion or simply spend time together, bespoke workshops can be arranged. Gift vouchers are available for workshops and flowers. Valid for 6 months from time of purchase.